Founder and President, Clairum Capital Management, LLC - Oct. 2002 to present. Clarium is a $2-plus billion macro-focused hedge fund. Managing Partner at The Founders Fund - March 2006 to present. Other partners in the fund include PayPal co-founders Ken Howery and Luke Nosek. Peter is an investor in Facebook, LinkedIn, Powerset, Slide and Vator.tv, among others. Peter Thiel is an entrepreneur and investor. He started PayPal in 1998, led it as CEO, and took it public in 2002, defining a new era of fast and secure online commerce. In 2004 he made the first outside investment in Facebook, where he serves as a director. The same year he launched Palantir Technologies, a software company that harnesses computers to empower human analysts in fields like national security and global finance. He has provided early funding for LinkedIn, Yelp, and dozens of successful technology startups, many run by former colleagues who have been dubbed the “PayPal Mafia.” He is a partner at Founders Fund, a Silicon Valley venture capital firm that has funded companies like SpaceX and Airbnb. 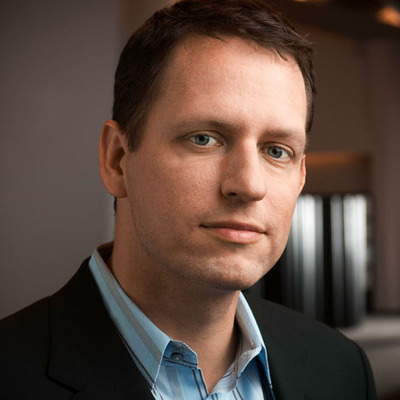 He started the Thiel Fellowship, which ignited a national debate by encouraging young people to put learning before schooling, and he leads the Thiel Foundation, which works to advance technological progress and long- term thinking about the future. Despite his criticism of the education bubble, in Spring 2012 Peter taught a class in the Computer Science department of his alma mater Stanford University. He has now revised and rewritten that class to make the new book called Zero to One: Notes on Startups, or How to Build the Future. Peter was mentioned in a VatorNews article "When PayPal was young: the early years"
Peter was mentioned in a VatorNews article "Peter Thiel's Palantir raises another $20 million"
Peter was mentioned in a VatorNews article "Cuban blasts Thiel's Trump speech: what about his policies?" Peter was mentioned in a VatorNews article "Thiel: the most conventional thing I've done is back Trump"
Peter was mentioned in a VatorNews article "Thiel: Trump will make America "a normal country""
Peter was mentioned in a VatorNews article "Those repudiating Peter Thiel are un-American "
Peter was mentioned in a VatorNews article "Gawker Media is picked up by Univision for $135 million"
Peter was mentioned in a VatorNews article "Thiel makes RNC history and aligns with Trump as a builder"
Peter was mentioned in a VatorNews article "Why Facebook was never going to kick Thiel off its board"
Peter was mentioned in a VatorNews article "Peter Thiel wins as Gawker files for bankruptcy"